Stunning kitchen redesign. 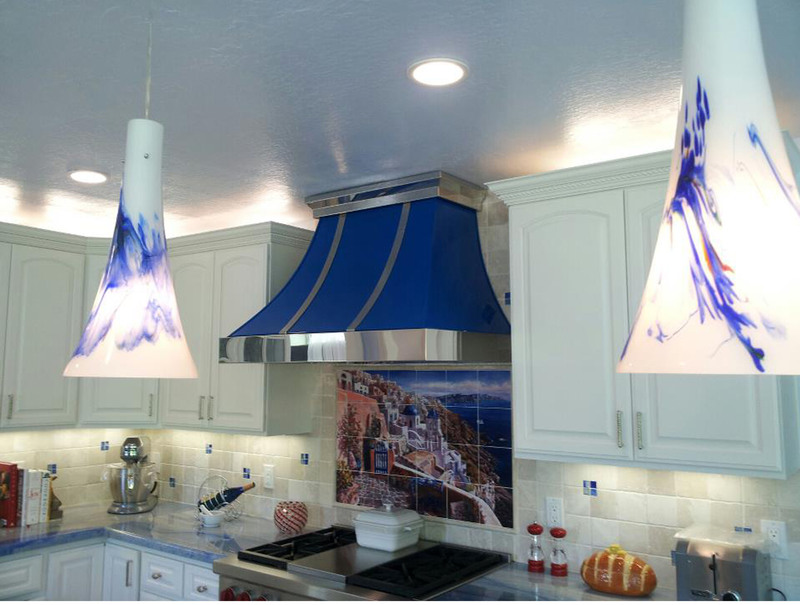 Cooks Kitchen and Bath took all my kitchen ideas and transformed them into a beautiful kitchen design for my home. The stove has become the centerpiece of my kitchen framed by beautiful custom pendent lights and a dramatic tile scene behind the store, acting as a backsplash. The white kitchen cabinets are set off with the blue countertops continuing the overall theme. Cooks Kitchen and Bath created a universal design that worked for the kitchen and entryway remodel. They are a general contractor, specializing in residential remodeling focusing on exceptional customer service.